To be able to use (measured) data in other applications, data of all sources can be exported to different file types. Below you can read how to export data and you can find some information about the supported formats. Data of all sources can be exported. This means that data of all stand-alone sources like the Software signal generator, but also outputs of other objects, like instruments and I/Os, can be saved to file. The data displayed in a graph can also be saved to a file. All data of all shown lines will be exported. When cursors are switched on, only the data in the section between the two curstors will be exported. Data of graphs can also be exported in graphical way to image files. This is explained on the page on saving images. Exporting data of sources, I/Os or graphs can be done by selecting the desired objects and choosing "Export data..." from its popup menu. See the picture below. A standard save dialog will popup, which is extended with options for the selected file format. Below, the save dialog is displayed with the options for saving binary files. With the file type combo box, the desired file type can be selected. The list of available file types depends on the selected sources that are to be saved. For example, most formats only support one time base. If sources with different time bases are selected, these formats will not appear in the file type list. Binary files contain nothing more than raw data. No information about sample frequency, range, number of sources, number of samples etc. is included. This file type supports multiple sources in one file. When multiple sources are included in one file, the data of the different sources is interleaved, starting with sample 0 of source 0, then sample 0 of source 1 etc. Hint: The binary file only contains raw data, no information about the data is saved. When saving measured data to binary files, also save the setup to a TPS file and store that together with the BIN files. That way, the structure of the BIN files (number of sources, data type) is kept with the files and they can be read properly in a later stage. Comma Separated Values files are supported by a great number of programs. The data is stored in human readable form using ASCII characters and can be viewed with any text editor. The name of the file type is a bit misleading: mostly semicolons (;) are used as column separator instead of commas (,). The exported CSV files contain a header with some information and a column of data for each source. 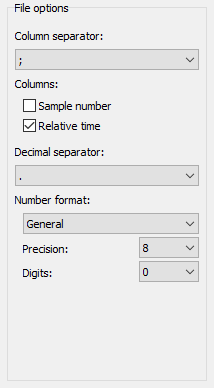 Optionally a time base and/or sample number column can be written. 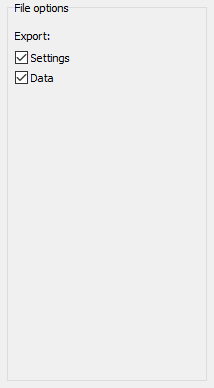 The columns are by default separated by a semicolon (;), but another separator may be chosen as well. 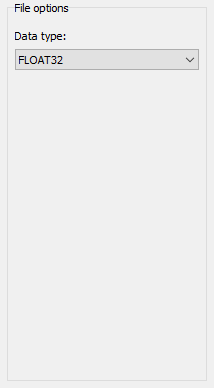 The default decimal separator is a point (. ), but it can be changed to a comma (,). General number format: The value is converted to the shortest possible decimal string using fixed or scientific format. Fixed point format: The value is converted to a string of the form "-ddd.ddd...". Scientific format: The value is converted to a string of the form "-d.ddd...E+dddd". JSON files are supported by various third party programs. The content is stored in human readable form using ASCII characters and can be viewed with any text editor. Due to their structure, JSON files can be easily handled by other programs. When exporting to a JSON file, settings and/or data can be stored in the file. Time based signals, as well as frequency based signals (spectra) can be exported to Matlab .mat files. When a spectrum is saved, the PreSampleCount field is not stored, and the SampleFrequency field is replaced by the BinsPerHz field. The value of this field is expressed in Samples/Hz, similar to the SampleFrequency field, which has unit Samples/s. Both fields can be used to reconstruct the horizontal axis. Information about the MAT-file format can be found at the MathWorks site. If the DateTime value is smaller than 50000, the file is stored with an older version of the software ( <= 1.0.3 ) and represents the number of days since 1899-12-30. In that case, add 'datenum('30-Dec-1899')' to get the correct date. Execute 'help datenum' in Matlab to find out more about DateTime. For frequency based data (spectra) the SampleFrequency field is replaced by the BinsPerHz field. For frequency based data (spectra) the PreSampleCount field is not present. Normally, wave files are used only for audio data, but they can also be used to store measurement data. A disadvantage of wave files is that not all information can be stored. Information like measurement range and unit are lost. However, because there are a lot of wave file editors on the market, the wave file can be very convenient for editing measured data. Most wave files contain one (mono) or two (stereo) data channels and mostly the data is stored with 8 or 16 bit precision. However, the wave file format can contain much more channels, and resolutions up to 64 bit can be used. Unfortunately, most programs that work with wave files do not support files with more than 2 channels and higher resolutions than 16 bit. Therefore, by default, the number of channels is limited to 2 and the resolution to 16 bit. The limits can be changed to write files with more channels or a higher resolution. The wave file contains a field which contains the sample frequency of the file. 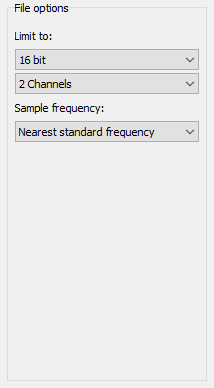 For compatibility reasons, the value of the field is by default set to the standard sample frequency that is closest to the actual sample frequency. It can also be set to the original sample frequency or one of the other standard values. 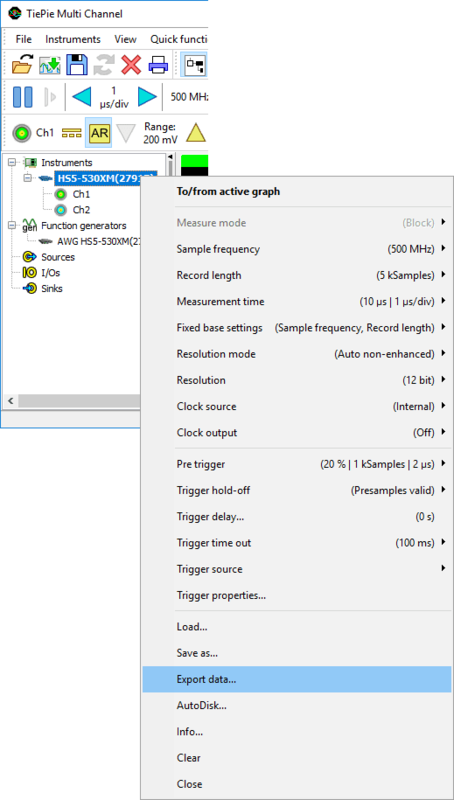 No resampling is performed, only the sample frequency field of the file is changed.